Two Spear Street: There’s a fabulous river view from the restaurant, but you might be paying more attention to your plate. Chef Kyle Rubino, who recently took over the kitchen, serves a mix of contemporary New American and Continental dishes. A prix fixe Sunday brunch is now offered from 11 a.m. to 3 p.m.
Insider tip: Every dish on the menu has a tie to the Rubino family, from their grandmother’s and mother’s kitchen. Angelo Rubino’s children, Valicitie (the general manager), Trevor (the restaurant manager), and Kyle are always available to give you a bit of background on every dish. Details: 2 Spear St., Nyack. 845-353-7733. O’Donoghue’s Tavern: In addition to the 50 years of Rockland memorabilia decorating the walls, a rotating beer tap and the live music Saturday nights, a friendly staff makes this a great place to relax. yack, backin the “old days,” says manager Barry Koch. The bar would empty out of firemen for 20 minutes or so, and they would return to find their money where they left it, and their beverages topped off. Details: 66 Main St., Nyack. 845-358-0180. 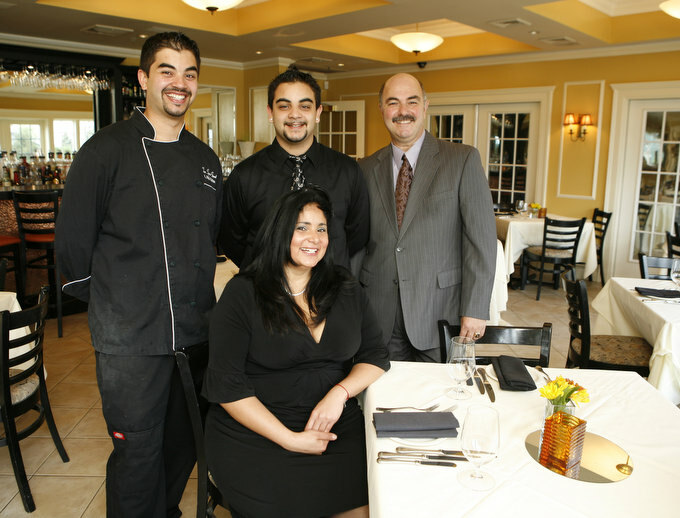 Del’Arte Restaurant: Rosemarie and John Carollo are a close family that works passionately together, and their regulars are welcomed with warm hospitality. 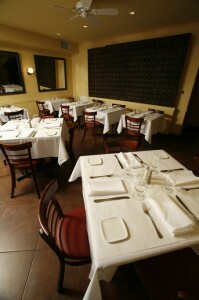 The expansive menu includes fresh pasta, steaks, chops and the signature dish, zuppa di pesce. In the summer, John, the chef, grows his own tomatoes and herbs in the garden out back. 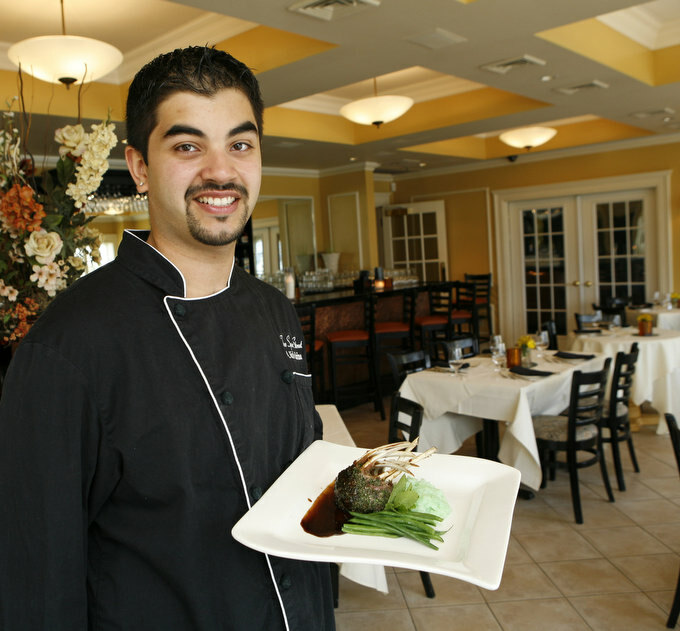 New for fall: Del’Arte offers new specials each week. Some of the fall offerings include Crostata Di Ricotta e Panelle, a grilled homemade flat bread with fresh ricotta, herbs and chickpea fritters; Pizz’Arte with figs, prosciutto and goat cheese; Scialatielle Amatriciana, a fresh pasta with pancetta, onion, San Marzano plum tomato sauce, roasted eggplant and shavings of ricotta salata; Swordfish Siciliano, pan seared with braised fennel, raisins and tomato; and Pasta Con Sarde, a traditional Sicilian pasta dish complete with spaghetti, sardines and a fennel tomato raisin sauce, and topped with toasted bread crumbs. Insider tip: Rosemarie Carollo says that even on a busy Friday or Saturday night, anyone with food allergies or special diets need only ask for her and she can help navigate the menu or prepare a special dish. Details: 20-F Mountainview Ave., Orangeburg. 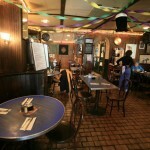 845-365-2727. www.delarterestaurant.com. Quinta Steakhouse: A chic atmosphere with long red banquettes and a window that looks into the kitchen. The beef is the draw here, but there are other specialties, including several influenced by the owners’ Portuguese heritage. The stewed loin of pork and sweet small clams spooned out of a classic iron pot are outstanding. New for fall: A few of the chef’s favorite hearty fall specials are crepes stuffed with duck confit and wild mushrooms with leek beurre blanc; salmon wrapped with bacon over tomato, mushroom and artichoke stew and topped with shoestring potatoes; a grilled swordfish with ratatouille and Dijon dill vinaigrette; cassoulet; braised lamb shank with mushroom barley; wild boar chop with truffled mashed potatoes in a mushroom brandy sauce; and venison medallions au poivre with potato croquettes, haricot verts and sherry demi-glace. Insider tip: Take a seat near the front of the restaurant so you can watch people stroll past on the sidewalk. Sidewalk Bistro: Brass­erie-style (big mirrors, mahogany bar, lots of wine) and simple but elegant bistro food, including salads, organic chicken, rack of lamb and steaks and mussels with frites. Owner Daout Celestin is the former maitre d’ at Xaviars at Piermont, and his new head chef, Xavier Mayonove, is formally from La Cote Basque in Manhattan. New for fall: Look out for the housemade trio de canard — duck breast, duck confit and foie gras — with sweet potato, caramelized endives and marmalade of plums. 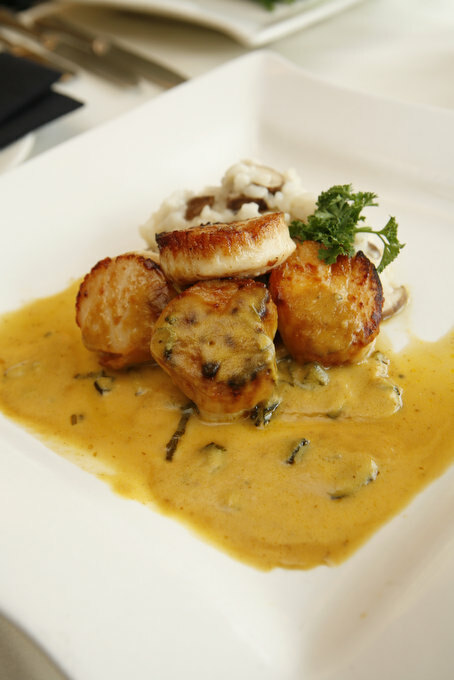 For fish lovers, there will be a sauteed scallops and a shrimp dish with panisse and tomato vinaigrette. Insider tip: Waitress Harriet Dunkerley, a trained professional singer, has been known to honor song requests and has brought tears to people’s eyes with her beautiful voice. 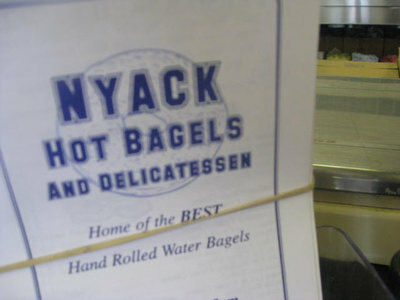 Commissary: Dan Foti, the former owner of The Baker’s Wife, now has a modern restaurant in the spot where the Village Grille used to be, near the train tracks in Tappan. The gutsy, creative New American cuisine is served in a casual setting with burnt orange walls, white tablecloths and eclectic artwork. The dishes, which change seasonally, are sophisticated with a great balance of flavor and texture. New for fall: With the chill approaching, comfort foods such as buttermilk fried chicken with polenta and collard greens, and grilled rib eye steak with pinot noir sauce and roasted vegetables will warm you up. Another favorite is the butternut squash agnolini. 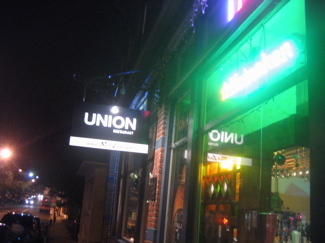 Insider tip: There are nightly specials, but they sell out quickly. Call ahead to find out what’s on the menu. Woody’s Parkside Grill: You step through a nice entrance decorated with flowers into a large bar area with a convivial crowd that seems to say “popular neighborhood gathering place.” But once in the dining area, the decor is warm, softly lit and cozy. And when you see what comes out of the kitchen, it becomes clear that the food is the star. 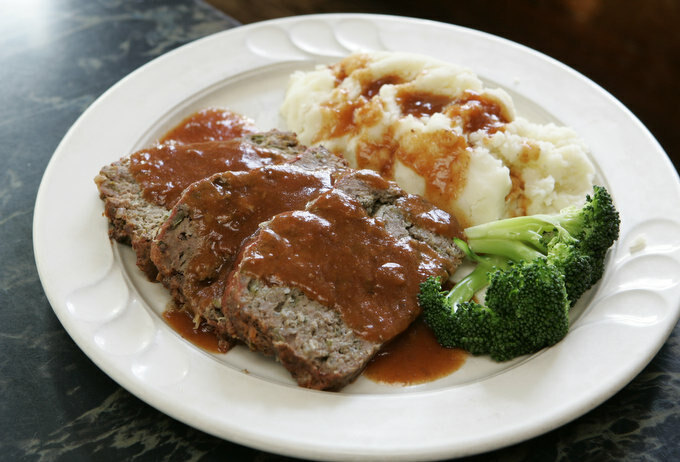 The menu is American-European cuisine, especially Eastern European, reflecting the heritages of the husband-and-wife owners, Deborah and Woody Lovrich. Woody’s serves lunch and dinner Tuesday to Sunday. 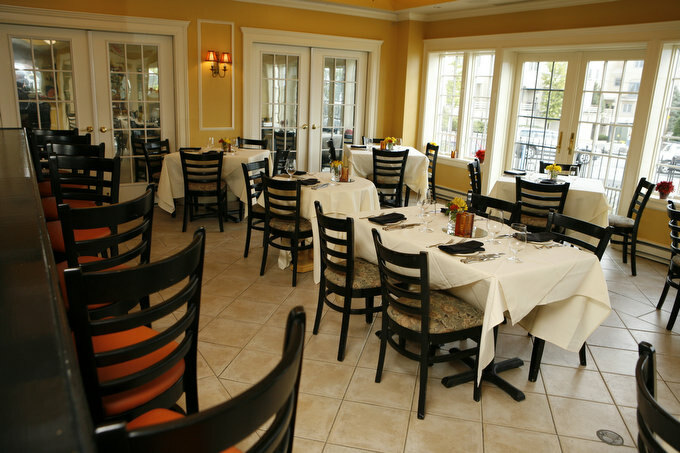 It also offers a $29 three-course prix fixe dinner, $6.95 lunch specials Tuesday through Friday, and $14.95 dinner specials Tuesday and Wednesday. New for fall: Chef Deborah’s fall menu will have an emphasis on Oktoberfest fare featuring sauerbraten, red cabbage, potato pancakes, wiener schnitzel, beef roulade and bratwurst. Other fall dishes include butternut squash and apple soup, braised beef short ribs with pumpkin orzo, braised lamb shank with barley risotto, homemade pumpkin ravioli and chicken, fish and liver entrees. Save room for the homemade desserts highlighting fall classics like pumpkin cheesecake and dutch apple pie. Insider tip: The kitchen is closed Mondays, but the bar opens at 4 p.m. with free hot dogs for Monday Night Football fans. Details: 623 Main St., Sparkill. 845-680-6169.